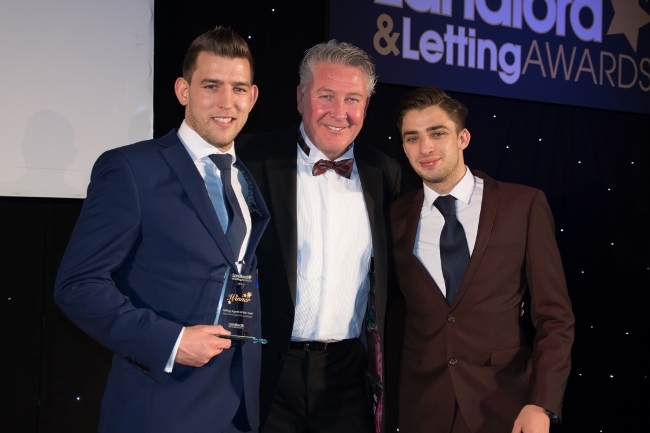 Leeds-based student estate and letting agent, RentInc, has been voted the winner of the UK Letting Agent of the Year for 2014/15 in the prestigious national Landlord & Letting Awards. RentInc has beaten some of the country’s leading letting agencies to be crowned the overall winner in the Letting Agents category. The win was down to the company’s commitment to outstanding customer service and by offering a unique and hassle-free customer experience. The company is one of the few nationwide that offers students an all-inclusive contract, with broadband, electricity, gas, water, gardening and contents insurance all included, allowing for stress and hassle-free student accommodation. Rachel Watson, the manager of RentInc said: “We are absolutely thrilled to win this Award. The competition was really tough, so this accolade really is testament to the hard work and commitment of everyone at Rent Inc.
Jo Ensby, marketing manager for AEP Media who organise the Awards, commented: “The Landlord & Letting Awards are the premier private rented sector awards in the UK; it’s great to be able to recognise and reward the best in the industry. Trophies were presented by TV personality Tommy Walsh at a gala dinner with live swing band and disco held at Stoneleigh Park, Warwickshire.